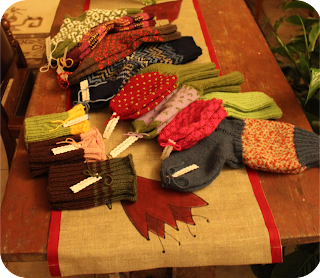 In total we came up with 8 pairs of wool socks and 3 wrist warmers. 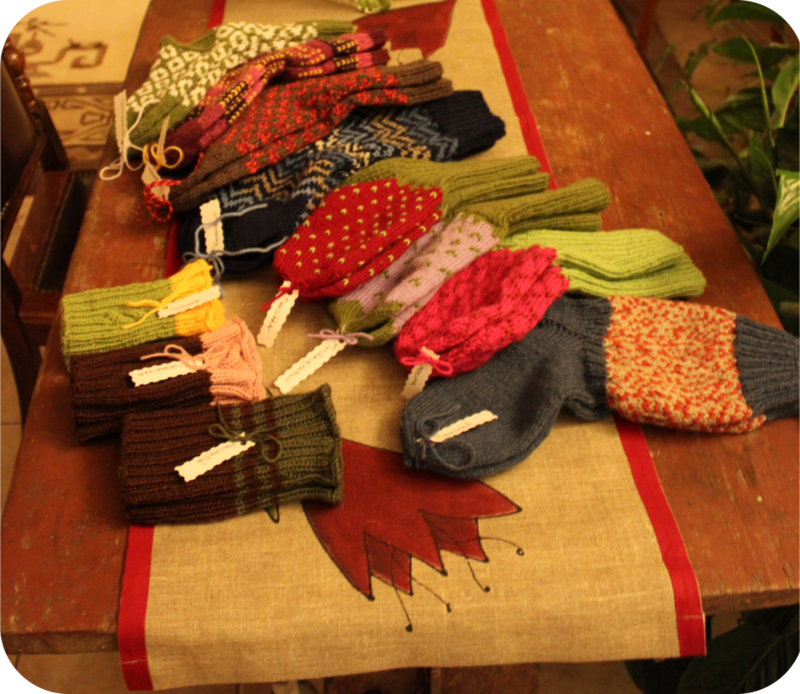 The socks were named as follows (starting from the front): Brook Trout, Raspberry, Forest Geranium, Strawberry, Cliff by the Sea, Rowan Berry, Crocus and Apple. The wrist warmers were named: Coniferous Forest, Cherry Blossom and Yellow Waterlily.